The angel answered, “The Holy Spirit will come upon you, the power of the Highest hover over you; Therefore, the child you bring to birth will be called Holy, Son of God” (Luke 1:26-35, MSG). Surely we’re missing something here? Luke told us everything, and then he told us nothing. How can it be that the one who birthed THE supernatural of all that is supernatural, did so without proper credentials and qualifications? 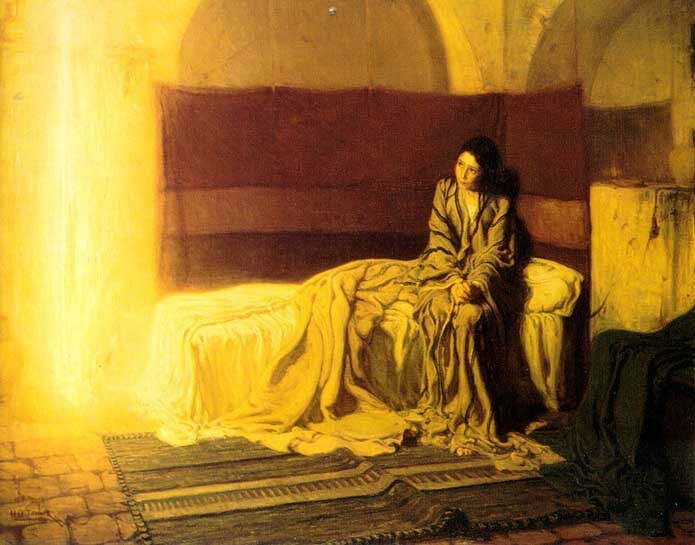 There is nothing in the text that specifies Mary’s morality, credibility, or preparedness. For heaven’s sake! No ministry school of any kind? No training for supernatural ministry—nothing even close to it? How can this be? Honestly, that would not fly in most of our spiritual cultures. We place a high premium on our confidence in being “qualified” to host supernatural activity. Right? See our degrees and certificates? Bring it, God! We’re ready and able! I wonder which has more weight—Was Mary chosen to be the bearer of the Greatest Gift ever given because she was void of certitudes, or was it because she was more than willing to just say “yes” and stay out of the way of what God ultimately wanted to do? Yeah, it’s probably both. I’ve thought more about the Baptizer and that young virgin a great deal this Advent season. Pivotal players, to say the least. John (thunder in the desert) knew he was only a voice and somehow he had already embraced his own descent. While most of us clamor for our ascent, John fulfilled his job and reached his destiny by embracing descent. What? When is the last time you encountered that spirit in a religious system? When is the last time you encountered that spirit anywhere? Then, you have a 13-year-old girl, who stands before the angel of God, and only mumbles her agreement. “Ok. Whatever you think is good with me.” Although she was confused (who wouldn’t be), she demanded nothing. She didn’t shout, she didn’t solicit clarity, nor did she withdraw because she didn’t have enough data. Can you imagine her social complications in that religious environment? Talk about a cluster of problems. Wow! We’re trained to manage our spiritual lives. That is what we do. It’s so opposite of these people who were helping transition this world to grace, which again is totally supernatural. It almost too much to consider. Patti and I are wrapping up the interviews for our new book project – SPOUSE: Until death do us part. I can’t even begin to prepare you for the stories in this book that will pretty much liquify your heart. It has been one of the most amazing seasons that we’ve been privileged to participate in. There is something for everyone in these stories if you’re willing to absorb the wisdom. We are pretty stoked about the possibilities. DAAAMMMNNN! Yup, he nailed it. Honey, if you’re supporting a new rock that defines how much that guy really loves you, you might want to pay attention to what Jordan shared. Dude, if you’re about to purchase that rock… it applies to you too. I’m telling you, this is spot on! It’s not going to look like what you think, but it will only be what you two are willing to make it. This project is full of this kind of insight about the gritty cost of real love and staying at the table no matter what. I can’t wait for you to meet these people. They’re really something.